Trump escalated Obama’s war on Syria, naked aggression against a sovereign independent country threatening no others – based on a litany of Big Lies. Assad, his government and military are combating US-supported terrorists to liberate the country, restore peace and stability, along with freeing its people from the scourge of US imperial ravaging. No April 4, 2017 CW attack occurred. The alleged incident was fake. The Trump administration knew this but attacked Syria’s Shayrat airbase anyway. 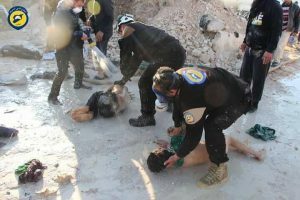 A previous article explained Al-Qaeda-connected, Western-supported, anti-Assad White Helmets alone provided unverified images of the alleged attack’s aftermath. No evidence suggests area residents were victims of toxic sarin or any other CW. None sought medical treatment. Nothing proves an attack actually occurred, just unverified reports claiming one, falsely blaming Damascus for what appears not to have happened. Russian Defense Ministry spokesman General Igor Konashenkov said Khan Sheikhoun areas residents weren’t evacuated to protect them from alleged toxic exposure. “Neither locals nor pseudo-rescuers have even asked for medicines, antidotes, decontaminants,” or any other help, he explained. Images of them in Kahn Sheikhoun showed them with no protective clothing, indicating no need because no CW attack occurred, just a fabricated report of one – a pretext for Trump’s aggression. Hersh explained he learned of a “total disconnect” between Trump and “many of his military advisors and intelligence officials, as well as officers on the ground” with firsthand knowledge of the phony Khan Sheikhoun incident. Fact: No evidence suggests Syrian responsibility for any CW attack throughout over six years of war – not in Khan Sheikhoun, Ghouta in August 2013, or any place else. Fact: Plenty of evidence proves US-supported terrorists used CWs numerous times, falsely blamed on Syria and Bashar al-Assad. Fact: The Organization for the Prohibition (OPCW) of Chemical Weapons confirmed the destruction of Syria’s CW stockpile – under its supervision. No evidence suggests any remain. Fact: Spicer lied claiming US possession of evidence, suggesting a planned Syrian CW attack. No evidence exists. Accusations without verifiable proof are baseless. What’s going on is clear. Washington wants Syrian sovereignty destroyed, pro-Western puppet rule replacing Assad. Russia’s intervention at the behest of Damascus turned the tide of battle in favor of liberating the country from the scourge of US-supported terrorism. Trump and hawkish generals given warmaking authority appear determined to press on – ominously risking possible US/Russia confrontation at some point, pitting the world’s dominant nuclear powers against each other militarily if it occurs. Instead of being noninterventionist as promised, Trump resembles war goddess Hillary with a gender difference. 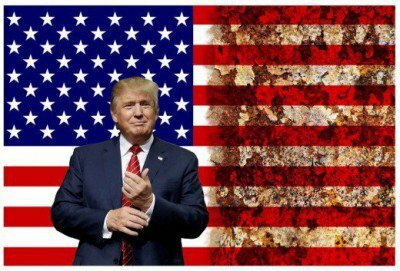 America’s rage for unchallenged global dominance under his leadership risks unthinkable nuclear war, humanity’s greatest threat if launched.